I truly love consulting work. I have been working for a few local offices and managing their technology. This has lead me into a vast amount of different areas. I think the best thing about being brought in as an consultant after a network is already running is reverse engineering. You have to look at something someone built and get into their head and clean up the mess. There are a million people in this World claiming to be a technologist. The fact is they don’t have a clue. You hire them and next thing you know you are in a bigger mess then you started with. If you are looking for a technology consultant / installer then look no further. Call me today. Even if you live anywhere on the globe. I offer remote services or can fly to your location. Here are a few pics of a recent job I was on. I had to remove a non booting computer and replace it with a new one. I was told at the end of the job that I made it look so easy. 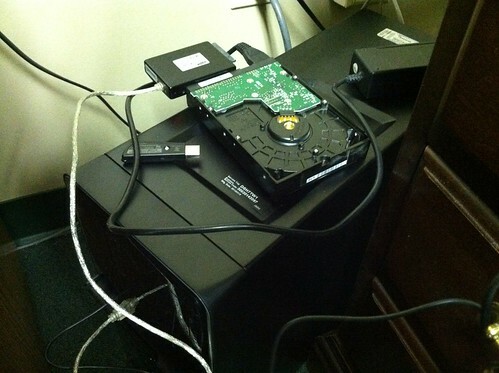 I retrieved all of the old data using the cable shown and placed it onto the new PC. This is what happens when your servers are running day in and day out. 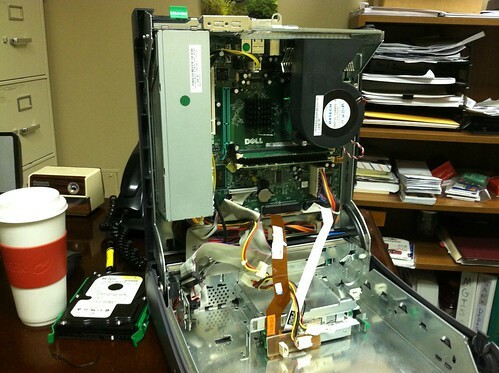 Many companies there are just not enough hours in a day, week or months to just stop and clean your servers. HEAT is the number one killer of computers and servers. 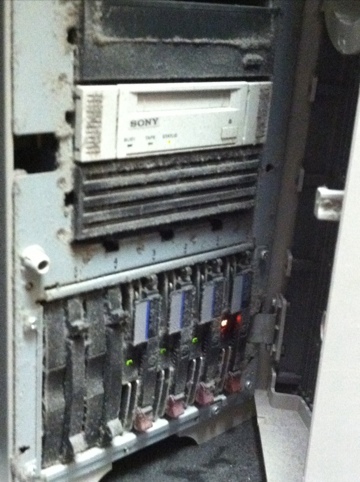 Time to clean those servers.